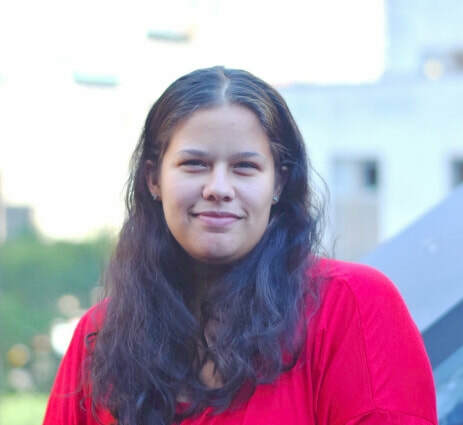 ​Vanessa is a Bronx native with a degree in Anthropology from Hunter College. She is extremely fascinated with learning about different cultures and people in their everyday environments. Prior to starting with Link3d, she worked with a Solar start-up company. Vanessa likes to use her anthropological skills in her professional work settings. First Job: My career started with the Columbia University’s Surf program as a summer intern. After, they just could not get rid of me. After the internship, I began as a part-time Clerk while I was in high school and transitioned into a full-time Administrative Assistant while I was a full-time College Student. My Childhood: I was born and raised in Bronx, New York and am the youngest of 3 children. All of which are 10 and 11 years older than me. Coming from a Latin family, I can honestly say I was never bored or alone. I only have great memories surrounded by music, dancing, and great food! I hope to create similar memories with my daughter. ​Random Facts: My best friends and I created a non-profit to help the children in Haiti after the earthquake in 2010 while in our senior year in H.S. It was one of the most rewarding experiences. We visited the island to distribute the items to the children and learned so much about the culture.